Day 94 -- Christmas is Over. No Need to Hide Naughtiness! ← Day 93 — Merry Christmas, Auroara! “Auroara”?? AuRoara (note the updated spelling) says that now that Christmas is over, there is no need to feign angelic behavior. Like any child, she saves the worse (and cutest) temper tantrums for Mom. Mother Zenith does look like she can handle the pressure, though! Christmas is over. It’s okay to talk back to Mom now. Remember to click on this and any other picture for a larger version. Do it twice! Even the human dads find it hard to ignore the snapping of teeth! 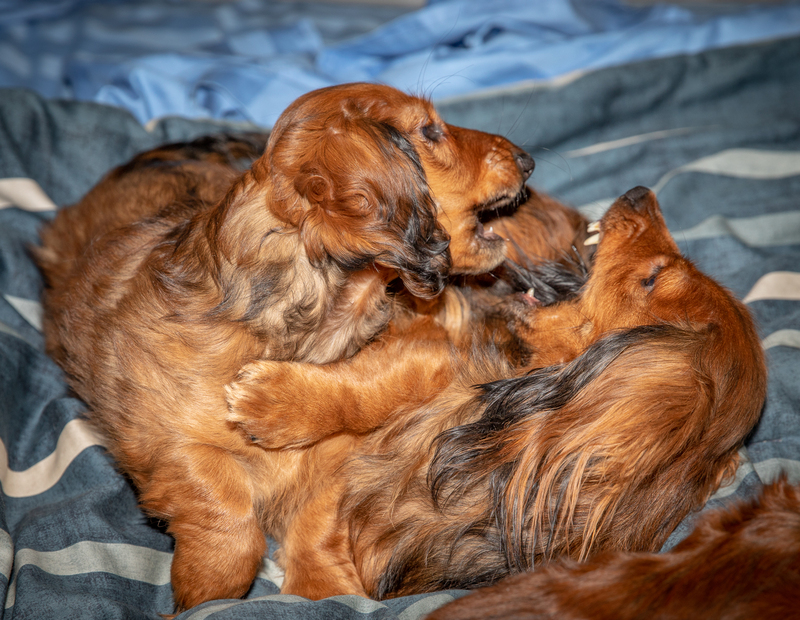 This entry was posted in dachshunds and tagged Aurora, dachshunds, Geoff, Zenith, zenith puppies. Bookmark the permalink.